A catch-and-kill attitude was encouraged to be adopted and instilled as the only way to exterminate rats in Kota Kinabalu. A holistic approach with cooperation from local governments and NGOs to tackle the rat problem nationwide included gotong-royong, destroying rat burrows and raising awareness of the local population. Dirty food courts, restaurants and hypermarkets in a commercial area in Kubang Kerian, Kota Baru were identified as providing a favourable environment for rats to populate. Its close proximity to the Universiti Sains Malaysia Hospital was worrying as it was believed that the rats invaded the hospital via underground burrows and sewage pipes linking the two areas. Traders in Yong Peng, Johor highlighted poor hygiene and lacking cleanliness as the main cause for the increasing number of rats and other pests. This led to the Yong Peng district council enforcing a long-term pest control programme to stop the breeding of rats, flies and cockroaches. The Kuching City North Commission (DBKU) declared a war on rats by doubling its efforts against these pests. One of the suggested techniques was to spray fendona poison inside rubbish bins and eateries, which would cause instantaneous death of the pests coming into direct contact with it. The Petaling Jaya City Council (MBPJ) stepped up its efforts by launching campaigns to raise awareness on dengue and leptospirosis. Rat poison was set and fogging carried out in a certain neighborhood on that particular day. 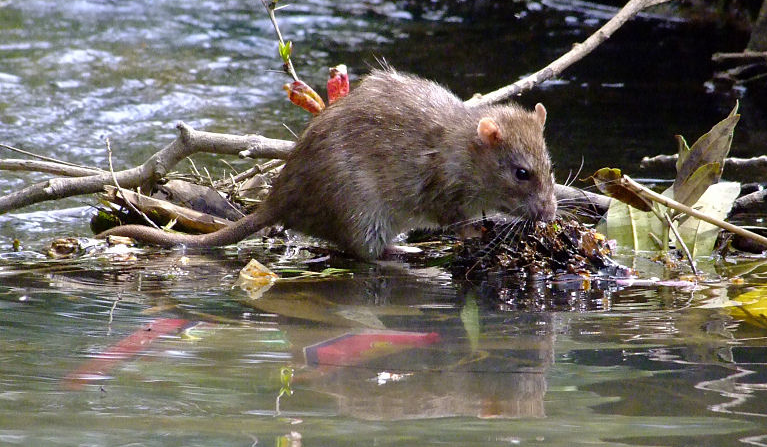 Leptospirosis is commonly known as ‘jangkitan kencing tikus’ or ‘rat-urine disease’. The newspaper excerpts above, are but a few reminders of the effort our local government is putting into exterminating the source of leptospirosis – rats. While the furry abomination is crucial in the spread of the disease, pinpointing the issue to rats itself is inadequate, as there are other hosts such as livestock as well as domestic and wild animals. From the life cycle, we can see that Leptospira is the bug that causes leptospirosis. Due to its corkscrewed body shape, it is grouped under the category of bacteria known as spirochetes (slender, spiral). Upon gaining entry, they are then spread through the body. While humans are accidental hosts and get ill, the real problem lies with infected animals. While they often do not become ill, they continue to spread it to other animals and humans who come into contact with their contaminated urine when they partake in activities such as bathing in still water contaminated with rat urine. Having said that, unhygenic practices as well as dirty and contaminated places are ideal breeding grounds for leptospirosis.